You asked for it, you've got it...Amber's story! 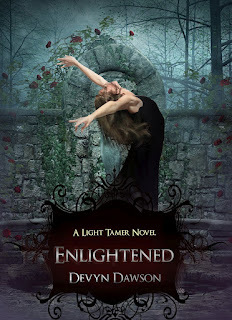 If you haven't read Enlightened, it is recommended to read that book before reading this novella. As a matter of fact, if you haven't read it...don't read the synopsis of this book....or pay attention to the title. By continuing to read, you're taking it into your own hands that you're reading a spoiler. Don't write me and say you had no idea and now you're scarred for life. Nope, you can't say those things. 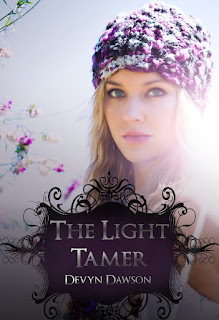 Amber, the sassy sidekick to Jessie Lucente has met her match the day she meets bad boy Thorne. They've gone on a few dates, but Thorne is Jessie's guardian and he has a mission to protect her at all cost. He's able to handle Amber's sarcasm and dishes it back, to her dismay. They are just learning how to juggle dating and Thorne's guardian schedule when Amber is abducted during a school dance. Amber knows her abductors have a schedule, and if she isn't rescued before time is up, she'll die. She doesn't fear death, she fears the pain it will cause her friends and Thorne. When Amber's brother died she thought of nothing else but taking her own life, but knew how much it would hurt her family. The only problem now is she has something and someone to live for; but she refuses to fear the end. This isn't a love story full of sweet kisses and adoring teens, so if you're looking for that kind of faerie-tale, read about Jessie and Caleb.